Yesterday Bergen’s Cultural Heritage Plan for 2019-2030 was revealed and includes using the site at Kjødetomten at USF Verftet for a culture-related venue. We are delighted with this decision as 3RW has been working hands in hands with the Verftet team for years to propose an alternative vision for Kjødetomten, to preserve the civic and cultural identity of the site. Ideas for its development include a music theatre and a multiform cultural centre (Kulturkvartalet). We also proposed a refurbishment of the existing industrial hall into a flexible event venue earlier this year. Maintaining a generous public access to the city waterfront, and avoid its homogenisation into a series of speculative housing sites is essential to, as mentioned by the city council, ensure “good development opportunities for the arts, culture and cultural environment in Bergen”. 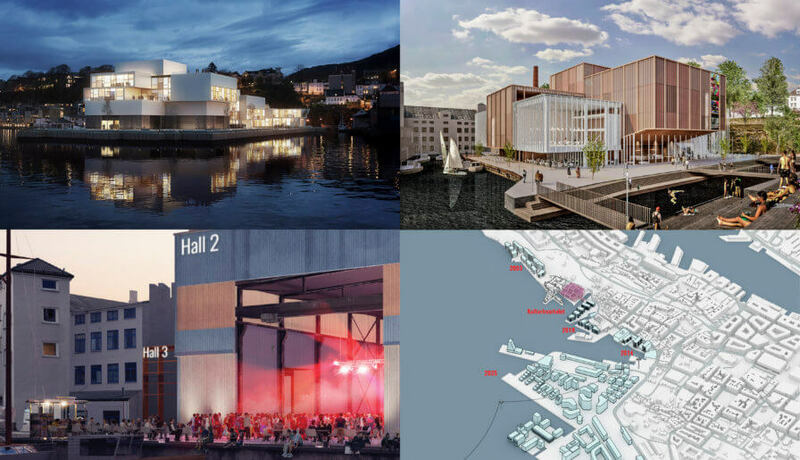 Kultur Vest also mentions that “the establishment of the Kulturkvartalet on the shipyard will create a powerhouse with a variety of displays, services and production facilities that will give audiences and artists in Bergen completely new opportunities”. We look forward to it! 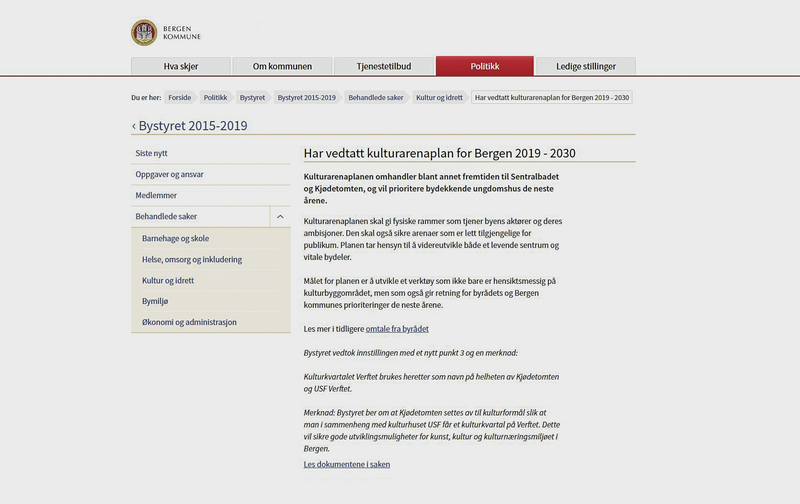 For details, consult the articles describing the Cultural Heritage Plan (på norsk) from Bergen Kommune and Nordesrepublikken. The whole Plan can be found here, with details on the Kjødetomten site at page 32.